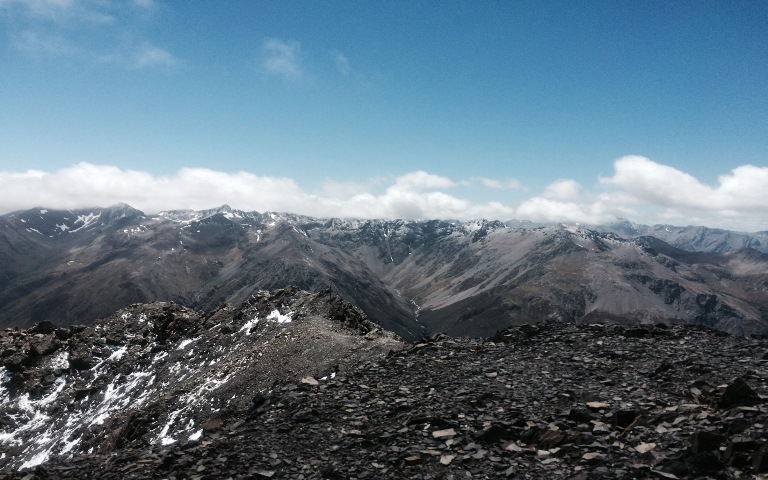 Superb Southern Alps walking around New Zealand's highest settlement. Gorgeous scenery and a variety of walks. Avalanche Peak is a must. 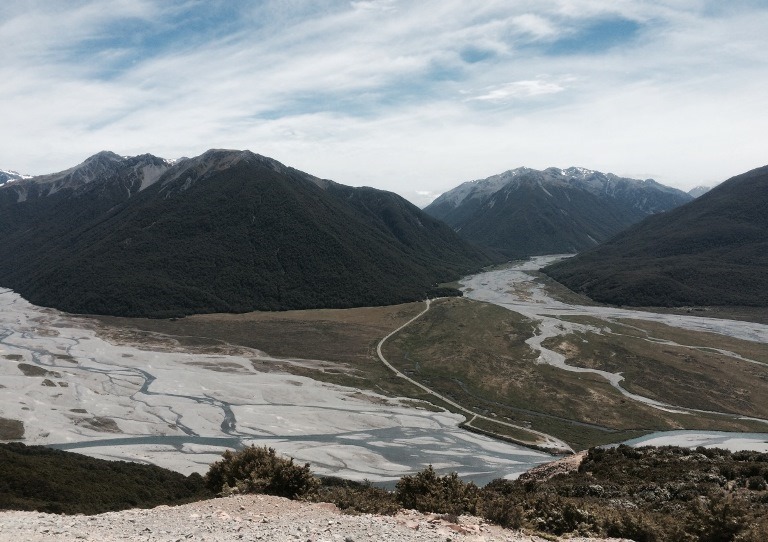 See also the Otira Valley. These walks are in high, remote mountains with unpredictable weather. Come prepared. The village is spectacular. 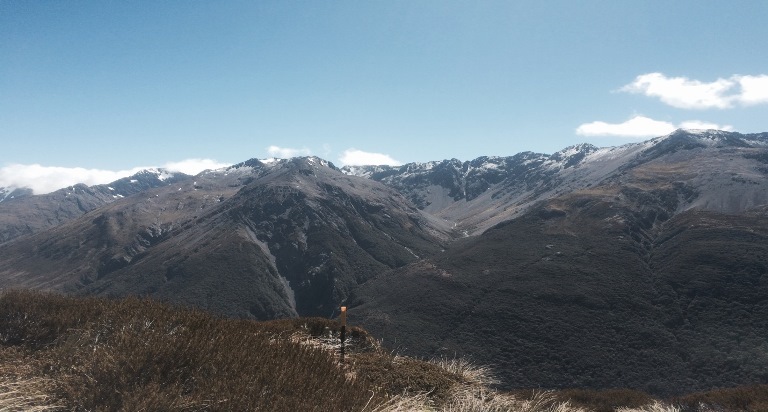 Nestled in a valley in the middle of the Southern Alps, it is New Zealand's highest altitude settlement. It can be accessed by road or by train and it has decent places to stay. Choice of restaurants is more limited but sufficiently good to meet most tastes. The only warning is to take care with timing if you are planning to eat late. The town is relatively remote and the main restaurant (the Wobbly Kea) closes its kitchen quite early (8 p.m., or 9 p.m. on a weekend), so if you are on the road and intend to eat on arrival, plan accordingly. You are surrounded by mountains and can step out straight onto a trail; there's no need to stay in huts. (Although, having said that, the trails discussed here could be converted into more adventurous experiences if that's what you want.) I missed not waking up in the middle of the bush, but that was counter-balanced by the knowledge that there was a hot shower, fresh linen and decent food waiting for me at the end of the day. 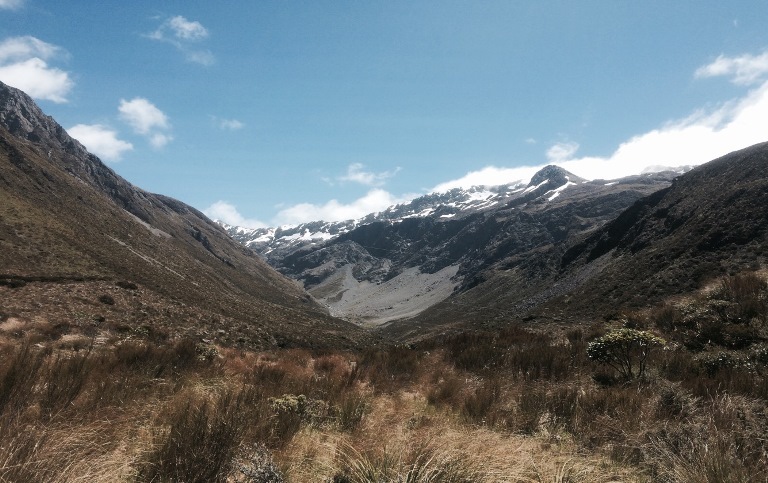 I've tramped all over NZ, both on the North and South Islands, and I don't know of a place that can provide better access to so many enjoyable trails in such close proximity. Arthur's Pass is the only tourist spot in NZ within a great spotted kiwi/roroa habitat - it's possible that you might see one, although they are very shy. Make sure that you check in at the DOC before you set off (do it before you hit the Avalanche Peak trail which can be accessed direct from the carpark beside the DOC office). It's a region prone to avalanches and rapid changes in weather." Walkopedia says: Thank you, Anthony.